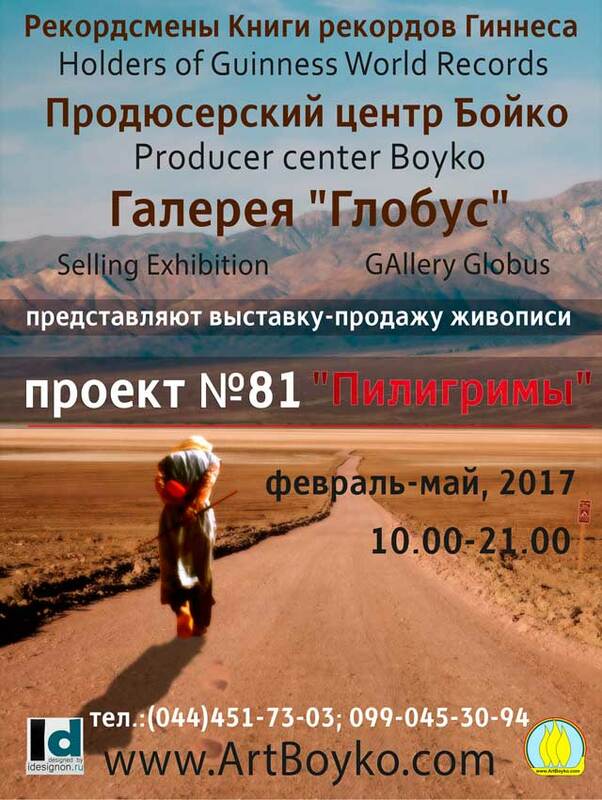 Producer Center Boyko, Gallery "Globus" present Project № 81 the exhibition-sale of painting "Pilgrims". 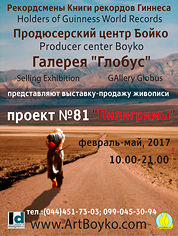 Place: Ukraine, Kyiv, Zoologichna, 8, gallery "Globus". 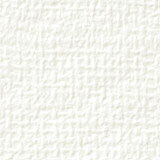 This exhibition presents hundreds of the works of the artists from the different regions of Ukraine.